If you ever need to get a fresh install of your cloud server, but would also want to retain the IP addresses from your old host, then this guide is for you. 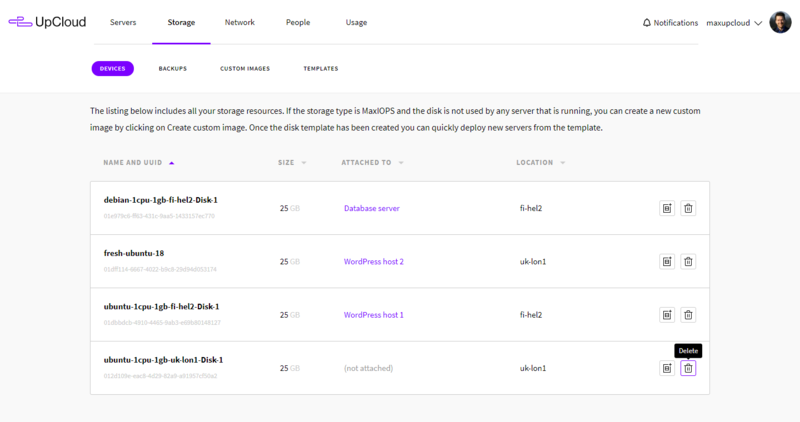 The storage devices containing the operating system for your servers are easy to configure, move and remove using the features at your UpCloud control panel. In essence, to reinstall the OS for your server, you will need to deploy a temporary new host with the OS of your choice, replace the old server storage with the freshly installed disk, and you are done. Follow up below with the exact steps on how this is done. To start with, log into your UpCloud control panel and deploy a new cloud server. 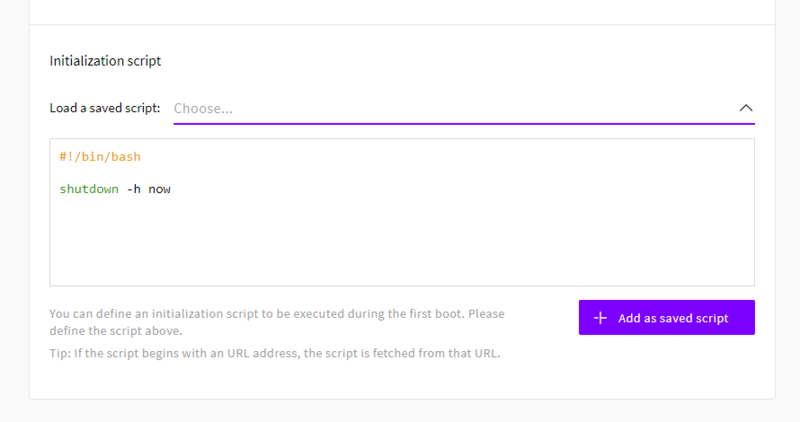 Once you are done configuring the new host, click the Deploy button at the bottom of the page. While waiting for the new server to finish deploying, shut down the current host either at the server list or in your server settings. If you included the shutdown script at deployment, the new server should also be powered down. Otherwise, shut it down manually. Next, open the settings of the newly deployed server and go to the Resize tab. Click the eject icon to detach the storage device. Then, open the server settings of your current server. With the server powered down, go to the Resize tab to continue. Detach the first device as you did above if you wish to keep it as a backup, or optionally you can delete it right away by clicking the bin icon if it’s no longer needed. Finally, click the Add new device and select to Attach existing device. Then find the new disk by its name on the list of available storage devices. With the right device selected, click the Add a storage device button to confirm. Once the storage is attached, you can go ahead and boot up the server again with the clean installed OS. Log into the host using the new root password or any SSH keys you may have assigned at deployment and confirm the server is working properly. Afterwards, you can delete the temporary server from the server settings. The old storage device can also be deleted at your Storage list if you no longer need it. If the server is having connectivity problems after system device swap, you can use VNC or the web console to log in. For servers running CentOS 6.7 or older and Ubuntu 12.04 or older, you may need to remove the old MAC address reference file and restart the server. Then test the network connectivity again. You should now have a clean installation of the OS of your choosing up and running with all the previously configured resources. To get started again you may wish to take a look at our guide for how to secure your Linux cloud server. If you know you may need to reinstall the system again in the future, it may be more convenient to take a backup of the fresh install which can then be easily restored in moments. You can find out more about the feature in the guide for taking backups.